Our final Stovold Trophy match of the season was played at beautiful Blackmoor with the heather in bloom. 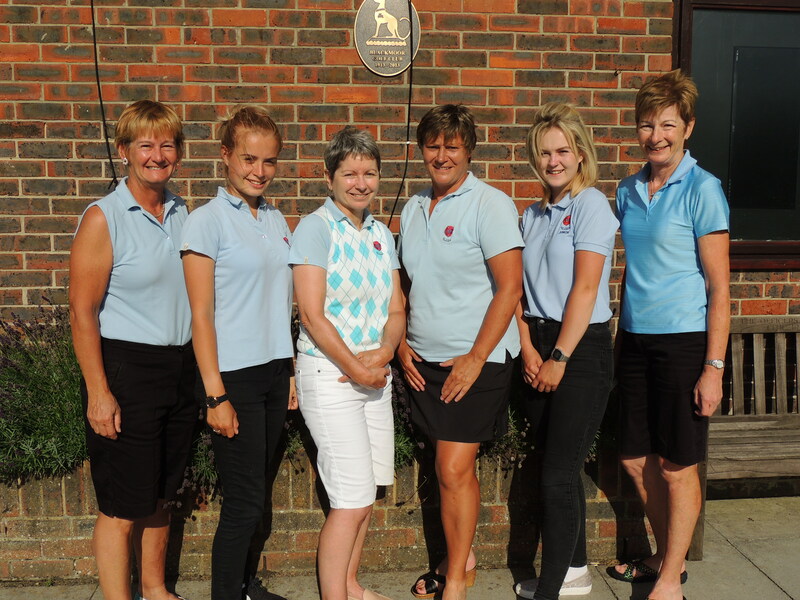 Surrey are a strong county having won the South Region County Match Week earlier in the season with their first team squad. We expected their second team to be strong too and they were. The morning foursomes while close were eventually won by Surrey 2-1 which meant we went into the six afternoon singles matches needing to win at least four of them. Several matches went to the 18th. As Jane Bennett and her opponent were coming up the 18th all players and supporters watched from the side. A win for Jane gave the result to Hampshire which meant we had a match win of 5-4. Too late to win the Stovold Trophy this season but giving us all confidence that next season we can continue with winning ways. 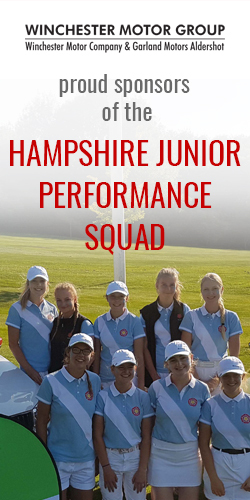 Well played Julie Cole (Romsey) Adrian Mylrea (Stoneham) Jane Shergold (Blackmoor) Emma Higgins (Highcliffe) Jane Bennett (Lee on the Solent) Ailsa Fraser (Army) Louise Caplen ( Stoneham) you were missed! Thank you to all who have played so willingly this season you have been a pleasure to captain.